PALMDALE – A 16-year-old boy who crashed his bicycle into a vehicle Tuesday afternoon was injured but expected to make a full recovery, authorities said. The collision happened around 3 p.m. on Avenue R-8 and 45th Street East in Palmdale, according to Deputy J. Heald of the Palmdale Sheriff Station. The vehicle, a Jeep Wrangler, was headed eastbound on Avenue R-8, while the teen was pedaling westbound on R-8, Heald said. The teen was attempting to turn onto 45th Street East when the collision occurred. “The bicycle was making a left turn and turned in front of the vehicle,” Heald said, adding that the incident underscores the importance of youths wearing helmets and practicing bicycle safety. “The safety issue is they’re buying fixie bicycles,” Heald said. A “fixie” or fixed-gear bicycle has no freewheel mechanism. The pedals are always in motion when the bike is moving, so the rider can never stop pedaling and just coast. “When you coast the pedals keep turning, so you’ve got to keep moving your feet or take your feet off the pedals,” Heald said. “Fixie” bicycles are usually modified with no brakes, so stopping is very difficult. “The only way you can brake is either drag your feet or try and peddle backwards, which is pretty hard,” Heald said. 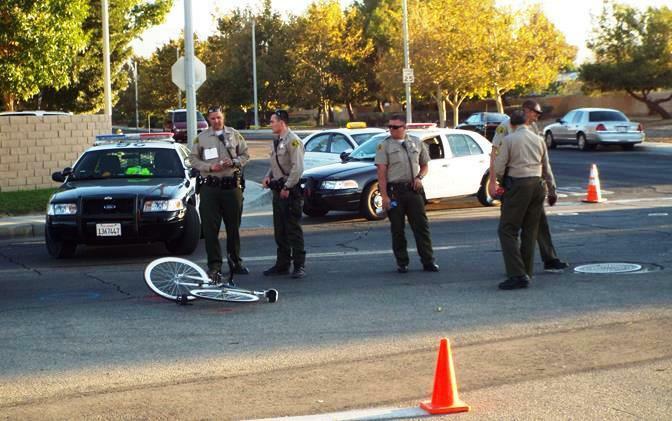 The Palmdale Sheriff Station is hoping to conduct outreach on bicycle safety at local schools, Heald said. “We’ll have a deputy come out and talk to the kids about not taking their brakes off and wearing their helmets,” Heald said. For a complete list of bicycle safety tips from the California Highway Patrol, visit http://www.chp.ca.gov/html/bicycleriding.html. 18 comments for "Teen on bike collides with jeep, officials stress bike safety"
The “fixie” feature is essential for doing popular tricks on bicycles, however, riding these bikes in traffic is extremely dangerous if they don’t have handbrakes. fixed gear bikes are safe its just the idot kids that dont run straps,toeclips,or clipless if you ride a fixed gears please use one of these 3 and learn how to skid dont kill the track bike! Fixed gear bikes are actually the first bikes to be made ever, velodrome racing etc uses fixed gear bikes, along with bike messenger etc. There kids shouldn’t be riding them for the simple fact they don’t know how to flow with traffic nor do they know what ratios to run in the city to make stopping easy.. No helmet, no brakes, no understanding what riding on public roads brakeless takes… He gets what he deserved, of course he will be back on his half put together crap fixie next week..
Not this fixie garbage that is destroying the scene. If you don’t know how to stop you shouldn’t ride . You’re making a choice every time you throw your leg over your bike , that you trust yourself to deliver yourself without harm . Putting our environment into play , if you can’t stop yourself you’re playing a wildcard, and taking an unneeded risk . Anyone who rides their bike or walks in front of a car just because they assume the driver should stop is an IDIOT! Take your life into your own hands and don’t blame other people for your stupid decisions. I agree, just because he didnt have a helmet doesnt make it his fault. If you knew him close like i did you people would know that he is a responsible person and isnt reckless like most teens these days. Great point Mr. Fixer. However, somebody on one of these ridiculous contraptions is not a pedestrian. They have to follow the rules of the road just like everybosy else. Maybe you should put your training wheels back on for a couple years….no “mater” what. pedestrian ≠ bike rider… a bike rider has to follow rules of the road too! No matter what the family hit him because HE wasnt obeying the rules of the road. 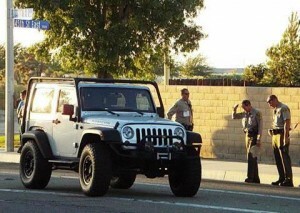 Learn the laws, you arent a pedestrian but another VEHICLE on the road. You guys wonder why drivers and other bike riders dont like you guys, its because of this attitude right here. You give the riders who obey the laws and follow the rules of the road a bad name. Yeah this fixit craze is a little odd…. I can see a stripped down bike, maybe even fixed gear so no freewheel, but a front brake….. At least…… The next craze is going to be not chewing your food…. Hey, I am so cool…. I swallow my food whole…. I am like a snake or something…. Ain’t i so cool…..
LOL,at least they’ll have Obummer care to remove the obstruction,if they survive the choking.Stupidity abounds and is encouraged by political correctness,SMH. Never a shortage of stupidity here in the AV.